How do you choose the most appropriate psychic for you? How do you find the right psychic for what you need? Learn how to find the right psychic by defining what you want to know. First, know what kind of concerns you have. If you’re interested in talking to the dead, which concerns past events because your shared experiences are in the past, look for a psychic medium. Not all psychics are also mediums. But as the popularity of mediumship has increased, so has the number of psychics who claim to be mediums. Anyone who relies primarily on tools like cards, runes, the i-ching or other divination systems is probably not primarily a medium. Mediums work ‘tools free’ for the most part. They also have solid psychic skills as a foundation for their mediumship. If your concerns are about events within the next 12 months, timing will be a key element in your live psychic reading. In that situation, tools are often a huge plus. Although many psychic mediums also can tune into trends and patterns to discern timing, they are working with spirit vibrations, not human and earth-based vibrations. Consider a timing specialist like an astrologer, numerologist or tool-using reader known for tuning into timing. If your concerns are about your life purpose or spiritual path, choose a spiritually oriented psychic medium, particularly a trance medium, channeler or someone who works with angelic or other high-vibration energies as well as deceased loved ones. If you are wondering what your past lives have to do with your current life situation, seek a credentialed past life regression specialist. 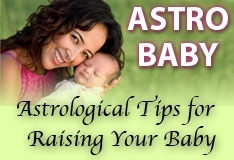 They often can help you look both backward and forward, by offering a future life progression as well. Many are also trained psychotherapists. Choose a psychic the same way you choose any other trusted practitioner. Do your homework. Ask friends. Look for people who use their real names and actual photographs on their websites. Find live psychics you resonate with. If you feel uneasy about someone, trust your inner wisdom and keep looking. It’s got to feel right since trusting the practitioner will result in a better experience. Decide what your budget is and stick to it. Psychic readings by e-mail can be found for as little as $5 a question. An hour by telephone with a ‘name’ psychic medium can cost $500 to $1500 or more. Price is not necessarily an indication of quality. Plus, some psychics offer a free psychic reading as a trial. But you also do yourself a disservice if you become dependent on a psychic practitioner, which is a risk with those who charge very little. It’s so affordable that you can become ‘hooked’ if you’re not careful. The same is true of by-the-minute, 24/7 services. When you’re feeling very desperate or needy, such services may be appealing. But generally you won’t get as much out of a psychic reading when you’re stressed. Save your psychic readings for times when you are not in crisis mode. And be wary of psychic chameleons, anyone who seems too willing to adjust what they do to what you need. One size fits all doesn’t work when you’re shopping for clothes, and it doesn’t fit when you’re shopping for a psychic. Dr. Lauren Thibodeau is an intuitive consultant, psychic medium, teacher and author of Natural-Born Intuition, and Natural-Born Soulmates. hi every one .i am shilpa from woburn ,ma .i would be very thankful if anyone knows about a good psychic or past life regression hypnotherapist in boston area.i am hanving severe health issues.please help. thanks . shilpa. @Kelly: Christians just have old irrelevant beliefs rooted in superstition than in the bible. I do readings myself at times, and I don't bother charging for it, mainly cause I'm not a greedy fraud like 97% of "Psychics" out there. I too, am very confused, as I was raised as a "Catholic" although I'm not a practicing one and haven't been since I've been an adult. I do, however, have this instilled in me(the teachings)and I watch a Christian broadcast almost everynight. They emphasise that you are NOT to seek out Psychics etc.. and I'm sure you know this is stated in the Bible. I am hoping for some answer and of course I want to hear what I want to hear-which is-It's ok!! Would you plz settle my brain once and for all about this becasue I've watched you for years on Montel and I don't see anything wrong w/what you do and I don't get any bad vibe from you. Actually, I feel very comforted when I listen to your voice. Leigh, like anything, price isn't always an indication of quality. I've had readings I paid a small fortune for that were rubbish and ones that were a few bucks or even free that were right on the money so to speak in terms of accuracy. Everyone had to start somewhere and didn't begin with huge fees, so it doesn't always mean that if they're cheap they'll be rubbish. Readers need to build reputations like everyone else and start the way others do in other lines of business- they price it cheap and let the quality speak for itself until hope word of mouth spreads.Of course some are cheap because they don't know what they're doing. Leigh what I would suggest is go in and talk to the person and listen to your gut instinct about them. You'll know within two minutes of saying hi if you feel comfortable with them. I feel that nine times out of ten that's the best indication if they'll connect well with you. If you don't feel that way or get any kind of negative vibes from them like an edgy feeling, make your excuses and leave.Personally I know readers that have done it free for decades and are excellent. That ten bucks could be worth it but you won't know unless you go meet them. i went to a psychic fair last month and i got so dizzy. i felt a connection with this one psychic my boyfriend and i had a chat with. after that chat was when i got my dizziness. after leaving my dizziness went away after a few minutes. i felt that this psychic was genuine but she lives a bit to far for me to see. Thank you for this Sylvia. Sometimes i just would like to look and talk to a psychic. I have a lot of questions and i am hoping i could get the answers to my questions. Sylvia, you are the best psychic and i really would love to meet you. I always see these signs that say "24 hour Psychic only $10". I don't know why but I am always wary of these kinds. Any suggestions? I mean it is a great price, but I don't want to waste my time on someone who is going to give me false information.